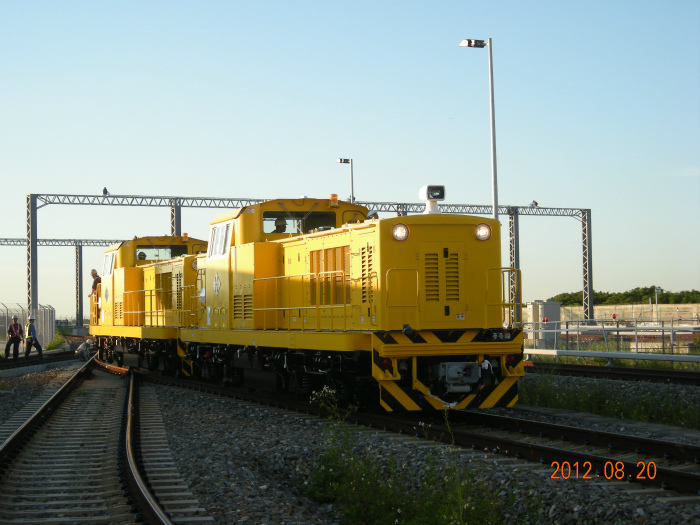 Four 60-ton locomotives are delivered to Taiwan airport railway (between Toen International Airport and Taipei). The major purpose is the rescue that may be necessary in case of trouble in EMU (passenger car). Rail inspection vehicle (RIV) is delivered to Taiwan airport railway. The vehicle has a cab at the front and rear and has a capacity of eight passengers. It has a space in the center of the vehicle where maintenance materials can be housed. Rail crane wagon (RCW) is delivered to Taiwan airport railway. The crane is a multi-articulated type made by HIAB. 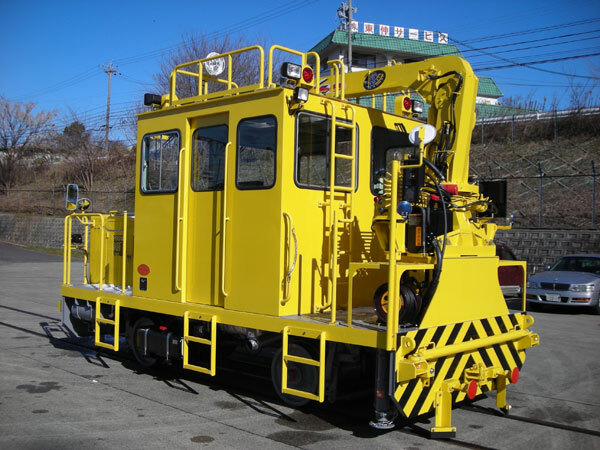 It is very large with a 10-meter long boom that can hoist up to a 3-ton load, and it is not regularly used in Japan. The vehicle is best for hoisting and moving heavy matters such as the turnout. 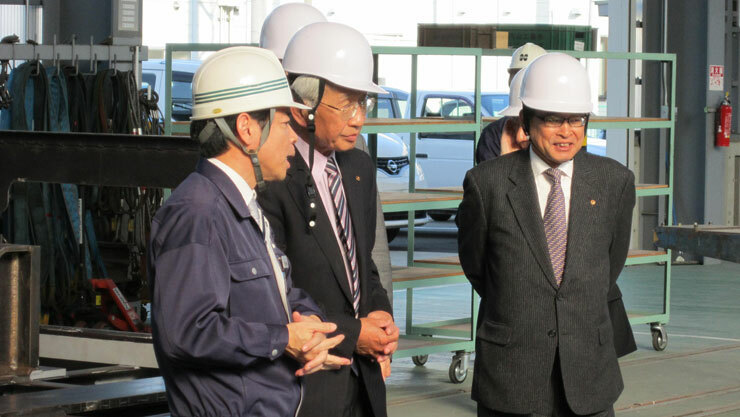 We had a visit for observation of the production process of a large locomotive for Taiwan. 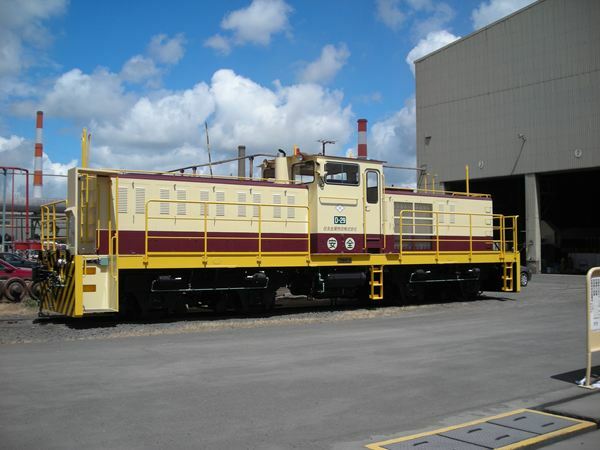 An 80-ton telecon-controlled diesel locomotive is delivered to Kagoshima Works, Sumitomo Metal Industries. Two universal trolleys are delivered to Tokyu Corporation. Two 10-ton vehicles. They are equipped with detachable holders for carrying PC sleepers. 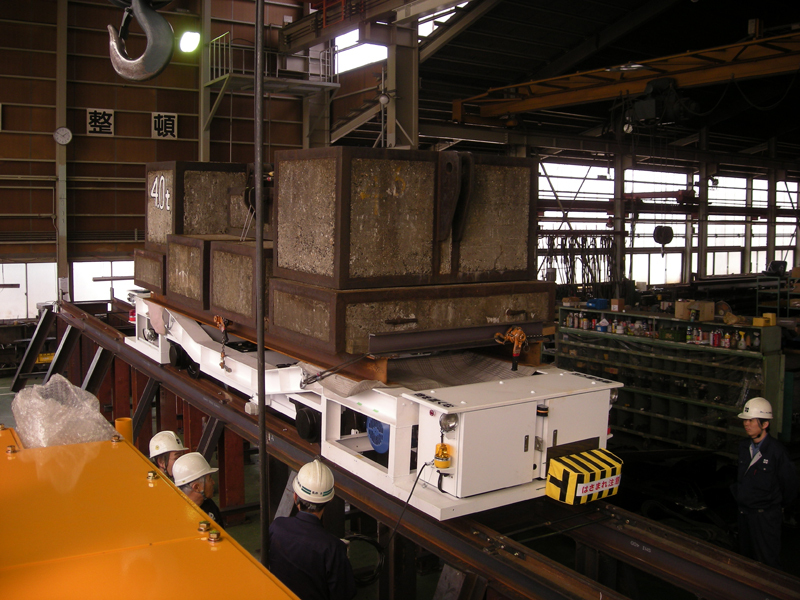 A scene of in-house load test of "segment transfer flatcar" used for tunnel work. 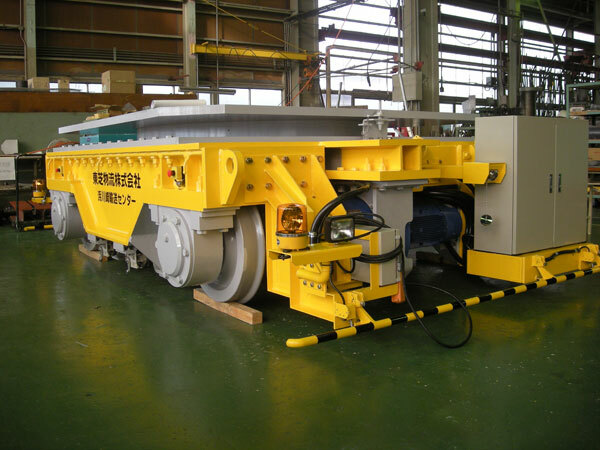 This is a scene of in-house load test of “segment transfer flatcar” used for tunnel work. The vehicle is capable of automatic travel at up to 5% gradient with a 20-ton load. A 7-ton track motor car is delivered to Transportation Bureau, City of Nagoya. It will be used for installation of the track of subway #6. 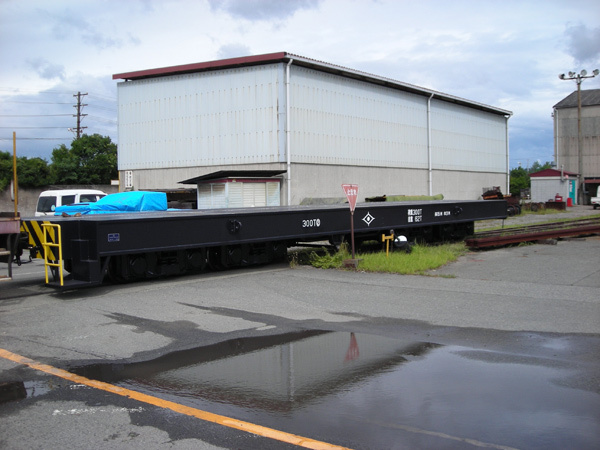 Two 190-ton load self-traveling flatcars are delivered to Toshiba Logistics. The loading capacity of two vehicles is 380 tons and they are used to carry large transformers and so on. They are driven by an engine generator, electric motor and cyclo reducer. A 300-ton load flatcar is delivered to Kobe Steel. 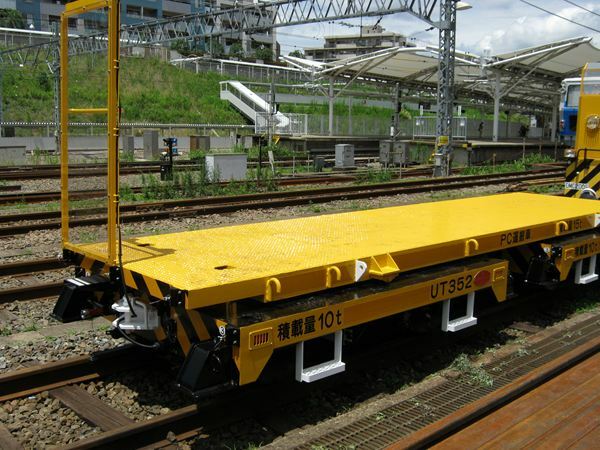 The flatcar features 16m overall length, 60-ton dead weight, and double two-axle bogie structure (total eight wheels).